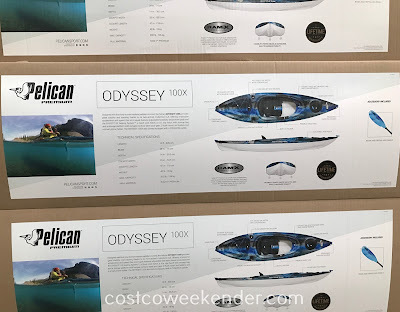 If you love the outdoors or enjoy the water, then you should check out the Pelican Odyssey 100X Sit In Kayak. It's a solid watercraft that any kayaker will love. You can kayak down a river or go out in the open ocean with this bad boy. Not only that, but it's great exercise and will get you that much closer to nature. 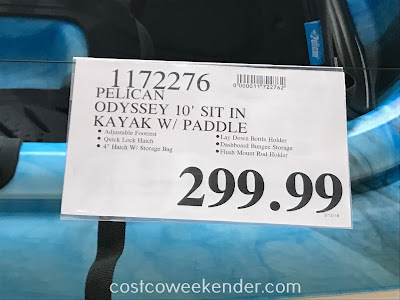 Whether you're an expert kayaker or just a weekend warrior, you'll love the Pelican Odyssey 100X Sit In Kayak. Designed with first-time to intermediate paddlers in mind, the Pelican Odyssey 100X provides great stability and tracking thanks to its twin-arched multichine hull. 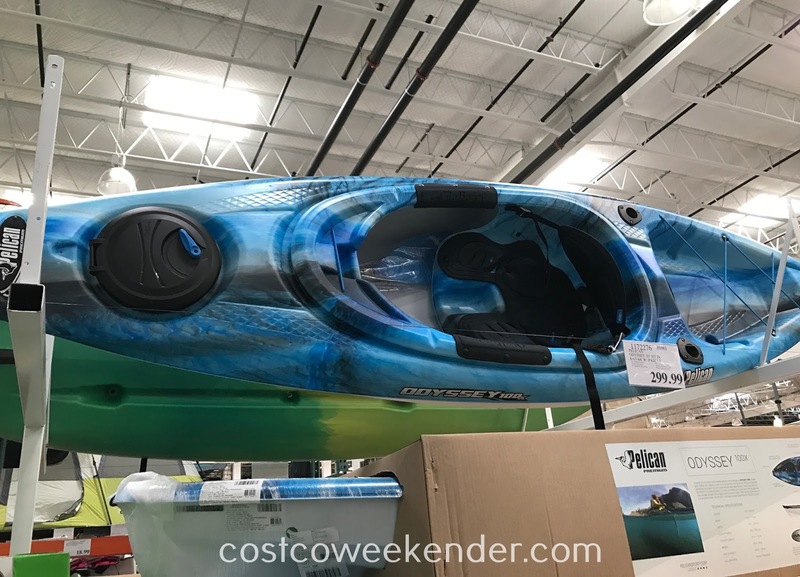 Offering impressive acceleration and speed, this sit-in kayak features adjustable footrests, deluxe knee pads and the ERGOFIT G2 Seating System, a Quick Lock hatch, a 4 in. day hatch with storage bag and a storage platform with bungee cords to store your gear, 2 flush mount rod holders and a smart phone holder. The Odyssey 100X also comes equipped with a POSEIDON paddle. RAM-X Premium is a multi-layer polyethylene used to produce the industry's stiffest, strongest, most durable polyethylene kayaks. An advanced resin in the top layer makes it more rigid than standard polyethylene.